In order that you can enjoy living and studying in Japan for a lengthy period, it is important to secure a base by finding a good-quality apartment or other accommodation. For this purpose, it is recommended that you consult with your guarantor Since rental apartments are usually unfurnished, you will have to purchase or lease your own necessary furniture. To find accommodation after arriving in Japan, foreigners usually go to a real estate agent. If there is a suitable dwelling, you ask the agent to mediate. In this case, since it is difficult for foreigners to follow the special commercial customs of Japan, you are recommended to take along a person who is familiar with the details, such as your guarantor. There is a large difference in rents between large citis and provincial cities. In addition, even in large cities rents differ according to such factors as distance from the center and size of accommodation. As a guideline, the rent for an apartment with a simple kitchenette (about 10 sq. meters in total), situated about 30 minutes by train from the city center, would be around \50,000- \60,000 in a large city and around \40,000 in a provincial city. The rent for an apartment consisting of one room with a kitchen and toilet (about 20 sq. meters in total) would be about double these figures. When renting an apartment, you must pay various fees, such as a deposit and key money. The expence differs according to region and apartment, but in general, as a rough estimate, you should think in terms of needing the equivalent of six or seven months' rent in the first month. If the landloed and the prospective tenant reach an agreement, the real estate agent will draw up a contract. You will neddd a seal (or your signature) for the contract. You are advised to sign the contract only after reading the contents carefully. Usually you will also be required to have a guarantor for the contract. You are advised to have a qualified person as your guarantor, such as the guarantor for your study. Since most contracts are written in Japanese, you are also recommended to be accompanied by your guarantor or another Japanese person when signing the contact. Since cultural and living customs in Japan differ from those in other countries, you might face some unexpected problems with your landlord or neighbors. To avoid such trouble, you are advised to take note of residential customs in Japan. If you damage or drty your room or any equipment, you must pay for the repairs out of your own pocket. Inaddition, when you leave an apartment, the custom in Japn is that you pay for restoring it to the condition that it was in when you moved in before handing it over. In Japn generally one person rents one apartment. Neither the contract nor custom allow more than one person to share an apartment without the permission of the lasndload. Furthermore residents, are not prohibited from making too much noise and using common facilities, such as corridors, for private purposes, such as cooking. In many cases in Japan a seal is used instead of a person's signature. A seal impression has the same effect as a signature. You are advised to take special care in the safekeeping of seals registered at banks. If you need to see a doctor to obtain treatment for an illness or injury, you must go to a medical institution. 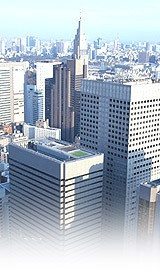 In Japan their are various medical institutions, such as general hospitals, special hospitals, and private hospitals. What type of hospital you should go to will depend on the type and degree of your illness or injury. You are recommended to consult with people who have lived in your neighborhood for a long time. Most medical institutions do not give treatment without reservations. You are advised to make prior confirmation. Althouh most doctors can understand at least a little English, the reception desk at hospitals uses only Japanese. If you cannot speak much Japanese, you are advised to take along a Japanese acquaintance to asist in communication. National health insurance scheme The national health insurance scheme is a mutual-aid system in which participants ease the burden of medical expenses by paying monthly premiums and then using the fund to cover medical fees for illness or injuries. Foreigners are eligible to join the scheme if they have completed alien registration and have received permission to stay in Japan for more than one year. If you join the national health insurance scheme, you are obliged to pay monthly insurance premiums. These premiums differ according to municipality and your income in the previous year. For foreign students, premiums will amount to around \20,000 a year. In the case of an illness or injury, by submitting your national health insurance certificate to the medical institution, you will be charged only 30% of the medical bill for any treatment. So after completing alien registration at your local municipal office, you are advised to immediately go to the national health insurance counter and submit the necessary form. As explained in the above section on "Permission to Engage in Activities Other than Those Permitted Under the Status of Residence Previously Granted", foreign students at Japanese language institutes can engage in part-time work up to only four hours a day, as long as they receive permission.Therefore, in view of prices in Japan and other factors, it would be impossible for a foreibn student to cover all the necessary expenses for living and study in Japan through part-time work. If a foreign student works for more than the permitted time, he or she could be punished and, in the worst case, could be deported.